A week after it was buried in sludge following a cloudburst, the centuries-old Gurudwara Pathar Sahib here was today flocked by devotees praying for those who lost their lives in the calamity and for return of prosperity to the region. A major tourist destination, the Gurudwara, which is about 25 kms from here, has been cleaned of about four feet of sludge that flowed down the hills following the cloudburst on the intervening night of August 5 and 6. A group of Army personnel along with stranded Sikh truck drivers and labourers while maintaining the "maryada" had worked for hours to clean up the Gurudwara. They ensured that the holy Guru Granth Sahib is taken out to safety with due respect. Even the huge boulder that has the embossed figure of Guru Nanak Dev's back, which was also covered by mud, has now being cleaned up. The 'sevaks' are currently in the process of giving final touches like polishing the brass items. 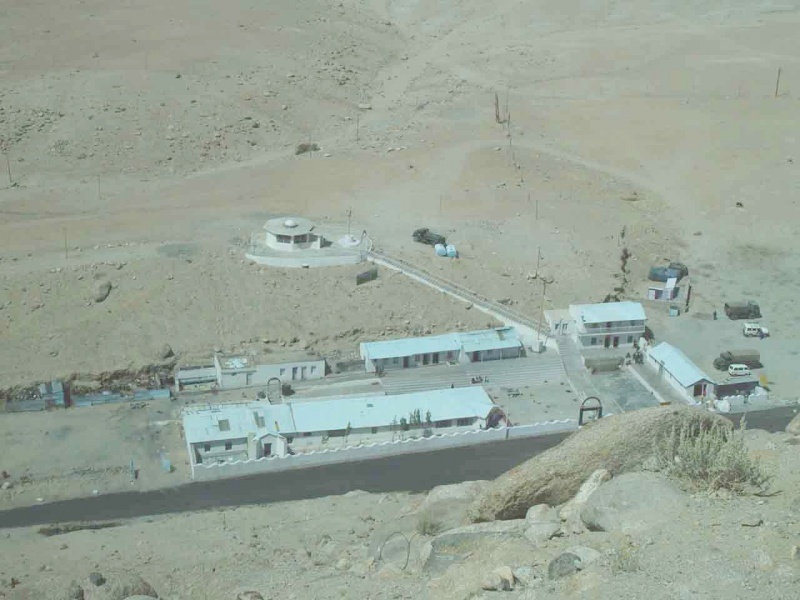 The Gurudwara is a must stopover for hundreds of truck drivers who pass through the Leh-Kargil road and also for Army convoys. The legend has it that there was once a demon in the area who used to terrorise people. Guru Nanak Dev, who visited here around 1516, decided to bless the villagers with sermons. He soon became a popular figure and this angered the demon. 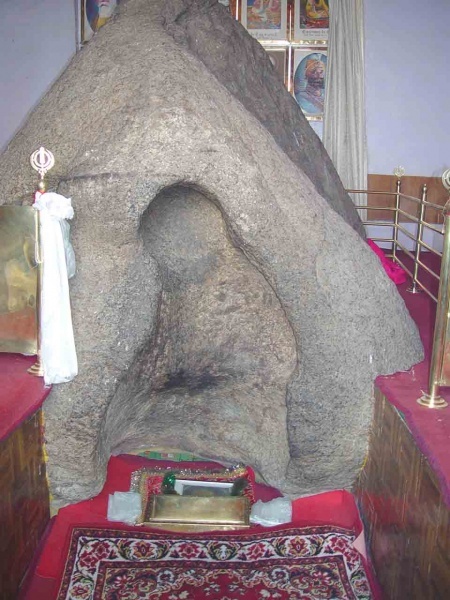 So one day, seeing Guru Nanak Dev meditating with his back facing him, he threw a huge boulder at him. The boulder hit his back and turned into wax. The demon thinking that Guru Nanak Dev was dead came down but got angry after seeing him meditate. The demon kicked the boulder but his feet was sucked in. Realising that the person he threw the stone at was someone very powerful, he asked for forgiveness. Guru Nanak Dev asked him to serve the villagers and thus the demon became a sadhu himself. The Gurudwara was said to be built five centuries ago on the same place where Guru Nanak Dev was meditating.